(Macao, Sept. 28, 2018) – he veteran of around 400 concerts, Hong Kong singer Leon Lai will bring hisLeon Metro Live concert to the Cotai Arena at The Venetian® Macao on Oct. 27, 2018. Tickets go on sale today at all Cotai Ticketing box offices. 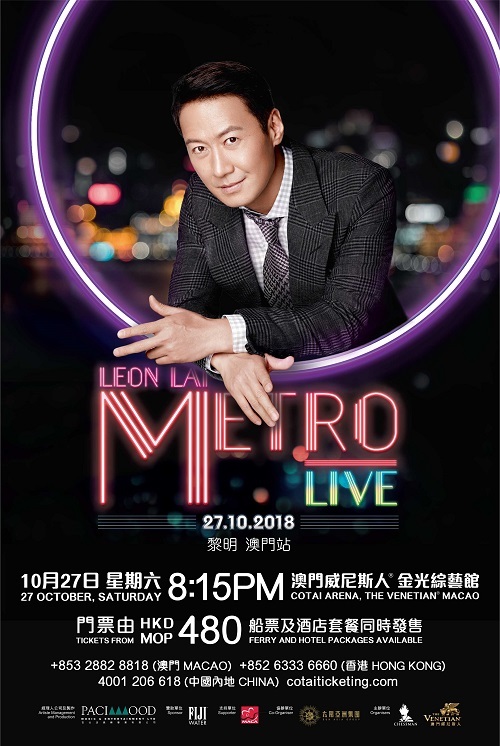 With fresh new arrangements of many of his classic songs, some with a Broadway theme, state of the art audio-visual equipment and hi-tech stage open on all sides, Leon Metro Live will offer a spectacular live experience for Lai’s many fans. Lai was one of Hong Kong’s four most popular male singers during the 1990s, nicknamed Cantopop‘s “Four Heavenly Kings”. Since then he has released numerous best-selling records, found success as an actor, and is renowned for his philanthropy and community work. Don’t miss Leon Metro Liveat The Venetian Macao’s Cotai Arena on Oct. 27, 2018. 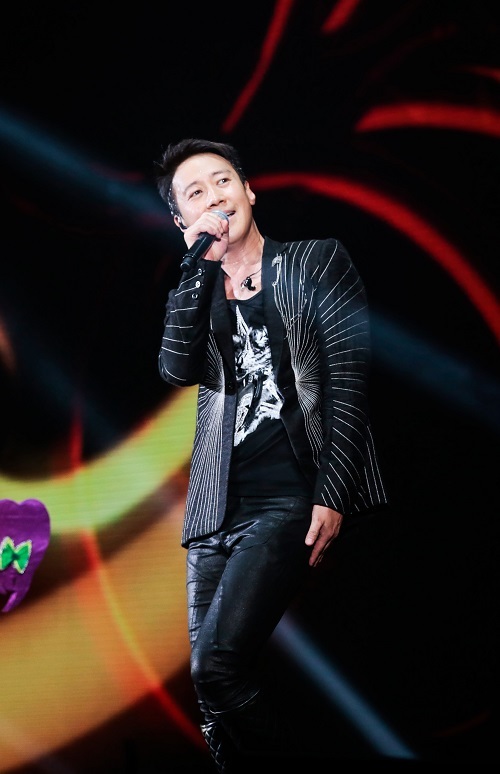 Date and Time Oct. 27, 2018 (Sat) 8.15 p.m.
Photo caption: Hong Kong singer Leon Lai will bring his Leon Metro Live concert to the Cotai Arena at The Venetian Macao on Oct. 27, 2018.